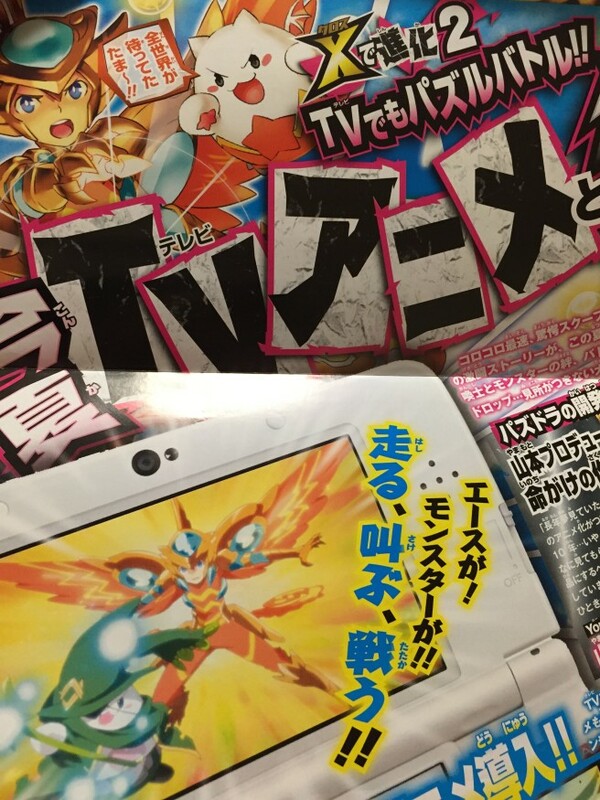 Information coming out of this month’s CoroCoro reveals that an anime based on Puzzle & Dragons X is in the works. The series will begin airing this summer. Along with an anime, a manga adaptation from Momota Inoue is in the works, which will debut in CoroCoro’s May issue (shipping in April). As far as the game goes, Puzzle & Dragons X will be available in Japan this summer. Two versions are planned: “Kami no Sh?” (God Chapter) and “Ry? no Sh?” (Dragon Chapter). Puzzle & Dragons X’s theme is “evolution” and will also feature cooperative play with friends in a cross battle. The game’s protagonist is Ace and his partner Tamaz?. Staff behind the anime will also animate the game’s opening anime.